Easterfest 2012 has been swamped with crazy hats and colourful animal beanies! 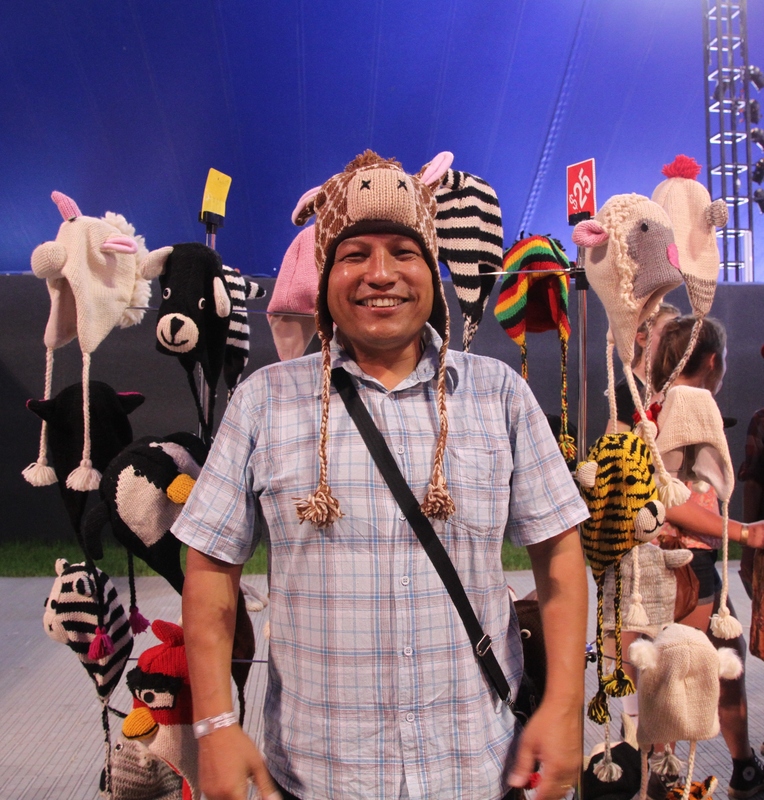 The unique hats, which are 100% wool come in many colours and designs such as penguins, bunnies, giraffes and even ‘angry birds’, have been a huge hit with Australian festival goers; in particular those looking to stay warm while watching the night time performances. Himalaya Ltd who distribute the hats, are a NZ based business helping to achieve better working conditions for women in Nepal by supporting fair trade. Jay Will who was born in Nepal and now runs the Himalaya Ltd stalls in the Pacific region, explains that the business not only develops women’s creative skills but also ensures them an ongoing income.“We are focusing on the ladies, and ensuring they are treated well,” he said. Himalaya Ltd which started more than 20 years ago, sources and ships the wool to Nepal where local women work to produce beautiful and unique wool beanies and felt hats which are then sold at markets or events in New Zealand such as the Parachute festival. This year Jay has travelled all the way to Easterfest Toowoomba to share the beautiful products with local festival goers. “It’s something unique”, he said when speaking about the hats. “The teenagers are our biggest buyers”. When speaking with Jay it is easy to see the passion and warmth he feels toward helping the people of Nepal. Jay shared that the goal of Himalaya Ltd is to one day go into women’s prisons in New Zealand to teach the ladies the skills of making their own crafts and income. Easterfest runs annually from Easter Friday to Sunday, come along to see Jay’s products and the many other interesting stalls open over the weekend. Previous TAKE THE 26 SECOND CHALLENGE!